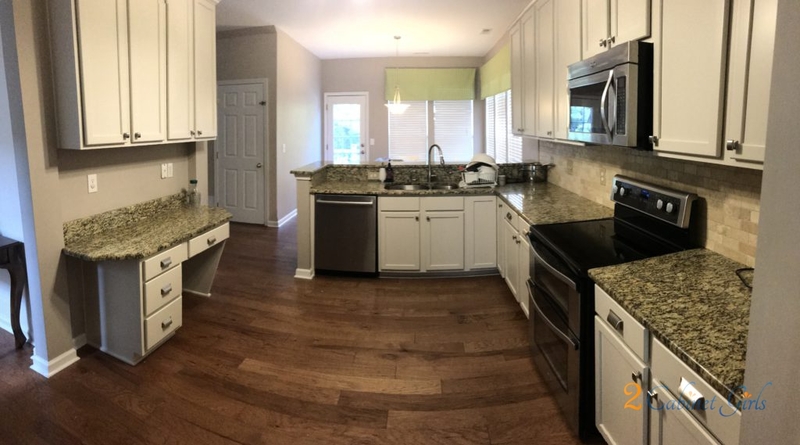 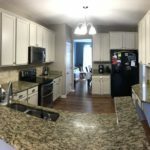 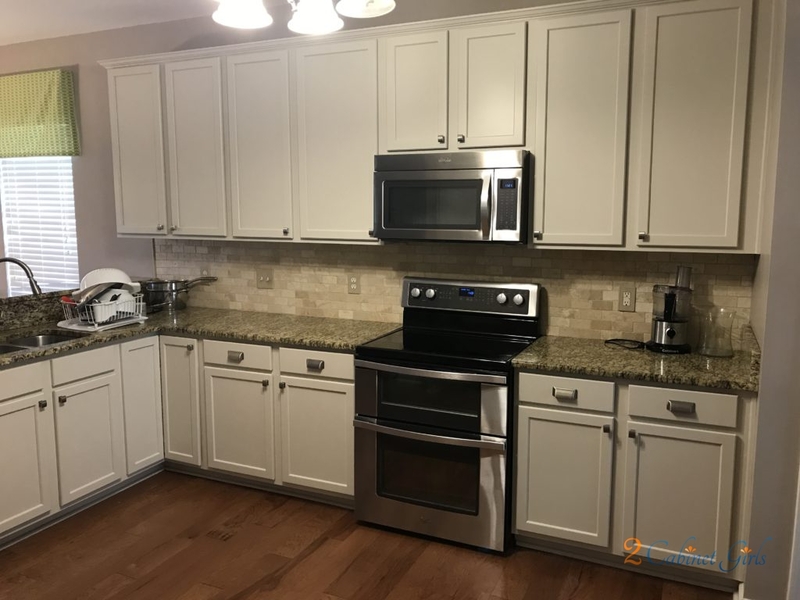 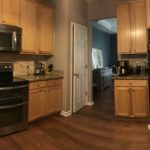 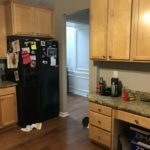 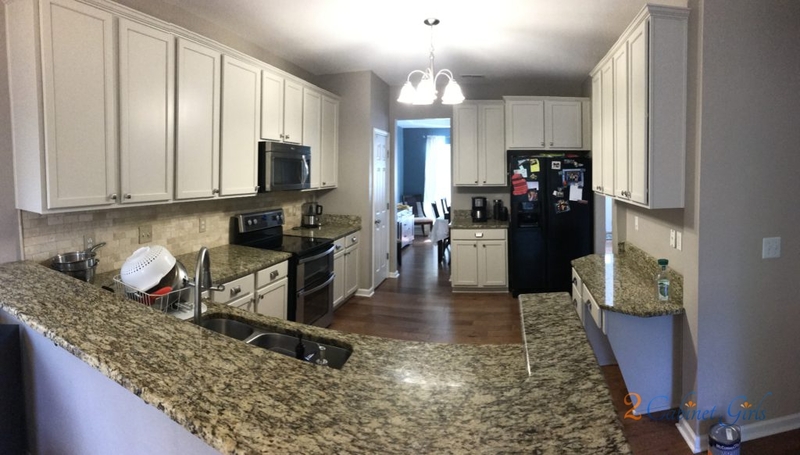 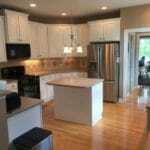 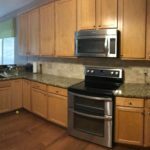 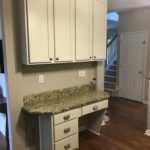 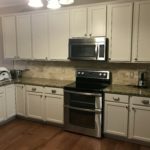 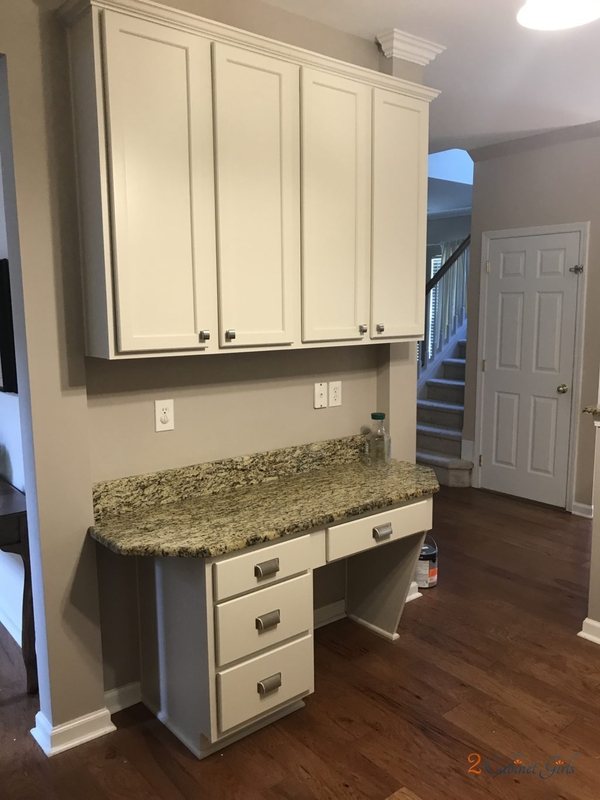 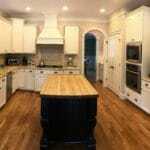 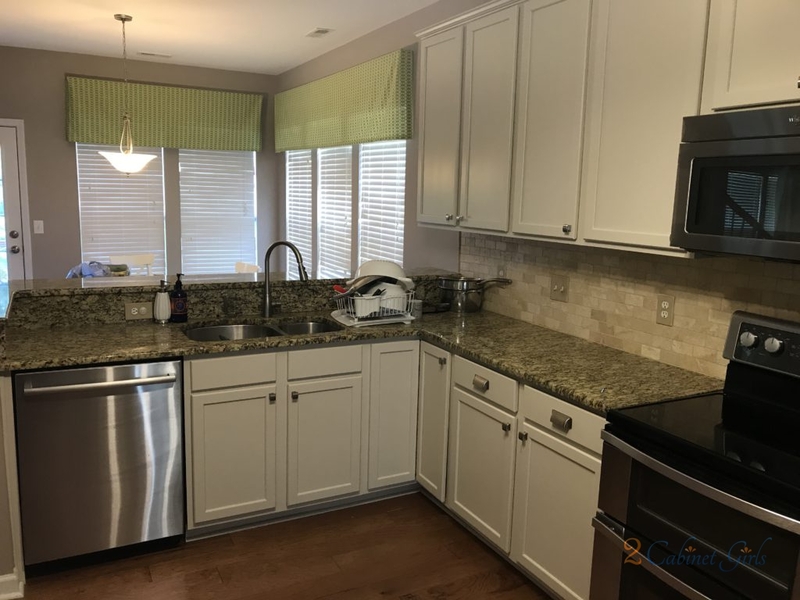 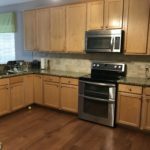 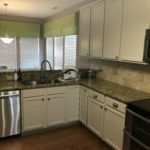 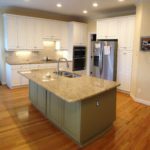 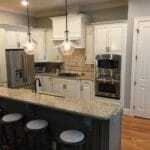 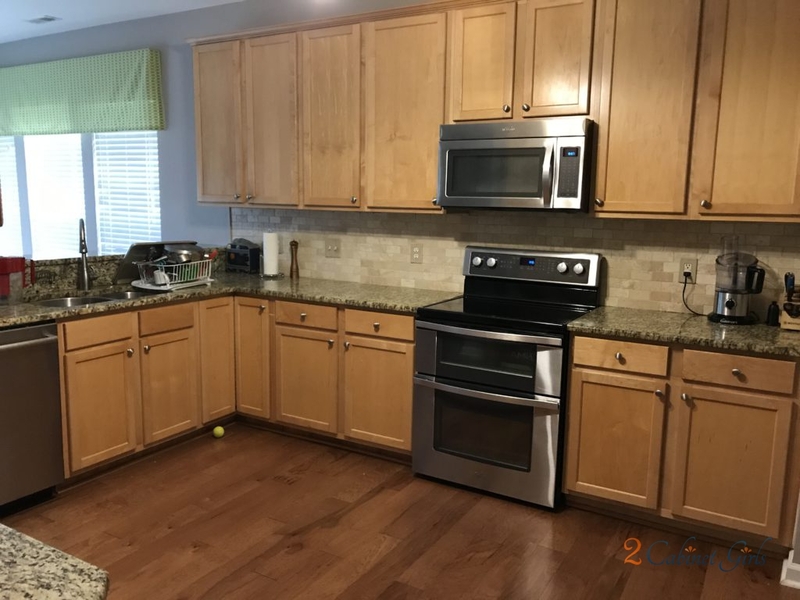 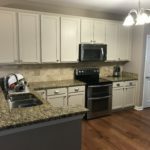 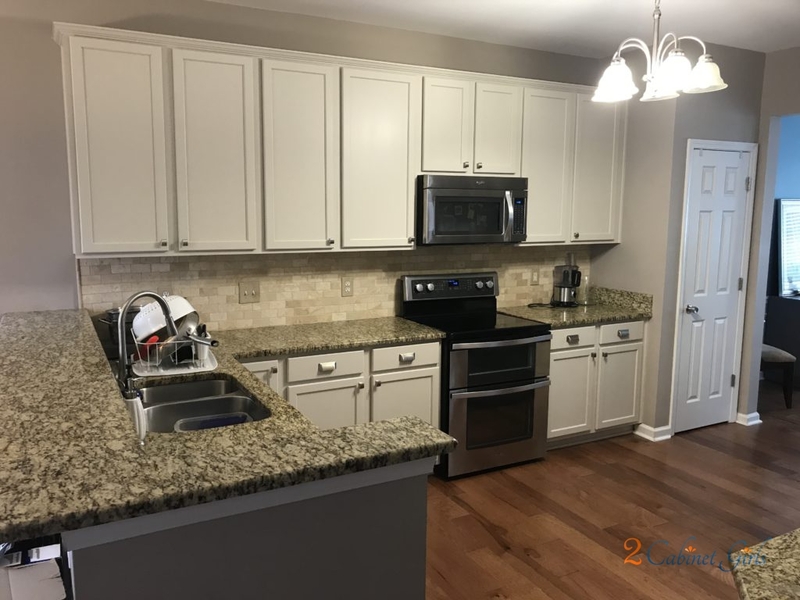 For this kitchen in Raleigh our homeowner didn’t want the cabinets a stark white. 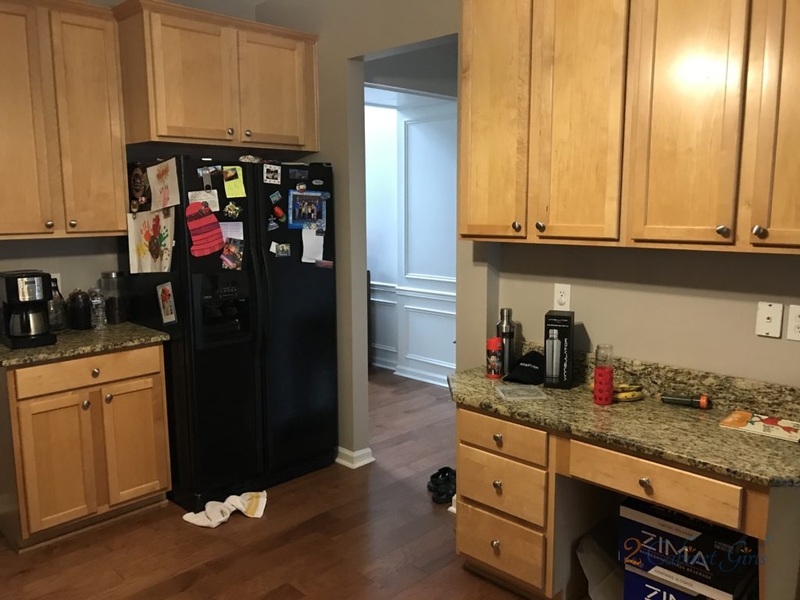 The trick was, getting a light color, to brighten up the kitchen, but still have the feeling of white. 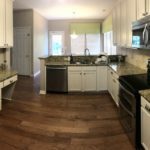 Our smart cookie homeowner is a realtor, and she knows that if you’re ever planning on selling your home, it needs to appeal to the masses. 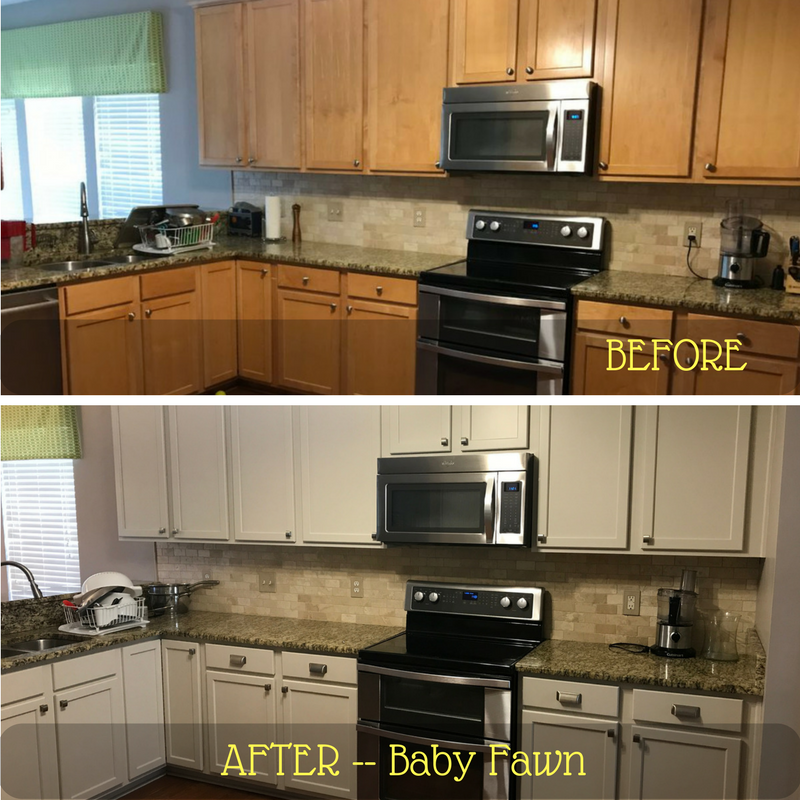 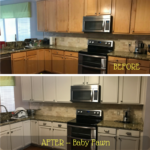 The color she chose – Baby Fawn from Benjamin Moore was the perfect choice. 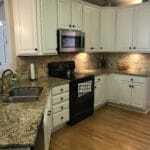 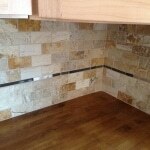 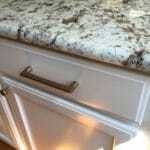 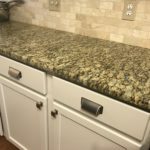 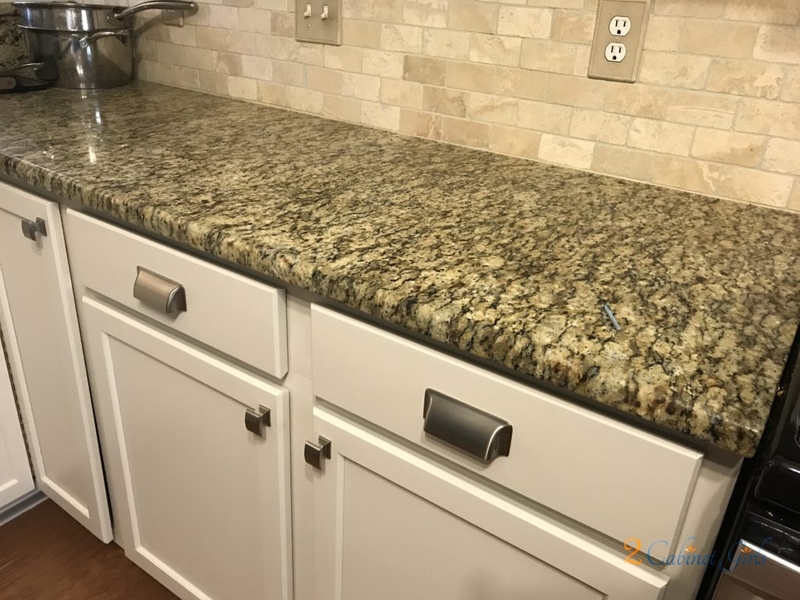 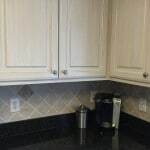 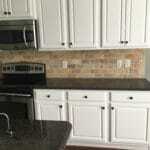 It helps tie in the travertine backsplash with subtle hints of warm beige but it’s not too light, OR too dark.